It is widely read that Festus Keyamo, a legal luminary, whose name appeared on the list of nominees for the conferment of rank of Senior Advocate of Nigeria but was refused, argued in THIS DAY, that Ikpeazu’s continued stay in office is unconstitutional in view of the Order of the Federal High Court -Abuja which INEC complied thereto. It is quite unfortunate, with all due respect, that a legal practitioner of his standing refused to advert his mind towards the latest judgment of another jurisdiction of the same Federal High Court which confirmed that Ikpeazu REMAINS the Governor of Abia State. While Nigerians expect lawyers ( Ministers in the Temple of Justice ) who are conversant with the true position of law to educate Nigerians or speak on how to resolve the “seeming” conflicting judgments of the Federal High Court, some members of our noble profession have resorted to making public statements that are capable of provoking crisis or causing breach of peace in Abia State. With all due respect, the submission of Keyamo is not without fault. It is completely misleading and dangerous and can never be cited as a precedence in any jurisdiction within the Common Wealth. 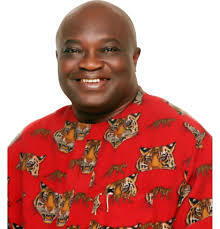 Dr Okezie Victor Ikpeazu remains the Governor of Abia State of Nigeria based on a thousand and one reasons. This is so irrespective of the CERTIFICATE OF RETURN hurriedly issued to Dr Uche Sampson Ogah by the Independent National Electoral Commission pursuant to the Order of the Federal High Court, Abuja. 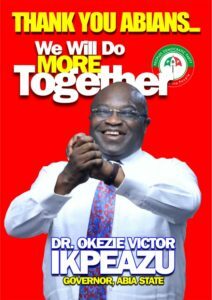 (1) Whereas the judgment of the Federal High Court Abuja which Ordered Ikpeazu to vacate office has been subjected to proper scrutinization by the Court of Appeal with accompanying Motion For Stay of Execution which Notice thereof has been brought to the attention of the parties in the matter, the judgment of the Federal High Court Owerri is yet to be subjected to such scrutiny. 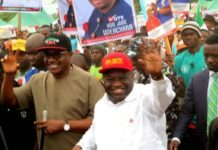 In furtherance, there was a clear pronouncement from the Federal High Court Owerri that Ikpeazu remains the Governor of Abia State. ( A ) What is the legal status of the Certificate of Return vis-a-viz the Motion For Stay of Execution yet to be heard and must be heard at the Court of Appeal? ( B ) What is the effect of the Order to vacate office considering the existing Motion For Stay of Execution which will now be heard at the Court of Appeal? With regard to the first question, one may argue that the question is already settled with INEC’s compliance to the Order. Having issued the Certificate of Return, it makes nonsense of the Motion For Stay of Execution. It is now a completed act that can only be resolved by the Court of Appeal on merit. Stay of Execution cannot lie against a completed act. I agree. 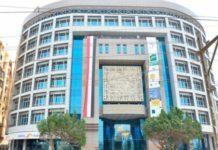 However, in view of the pending appeal, the certificate of return is hanging in the air and will so hang till the final determination of the appeal. On the second question, it is important to state the true position of law. 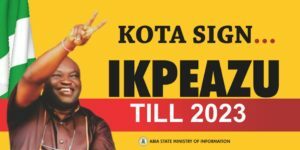 Our highly respected Senior in this noble profession- Mr Festus Keyamo, has posited that Ikpeazu’s stay in office is unconstitutional. With all due respect, that is not correct. That submission lacks thorough legal research. The ORDER of the Federal High Court Abuja asking Ikpeazu to vacate from office has been challenged and the Appeal Court must hear the Motion For Stay of Execution of that Order. 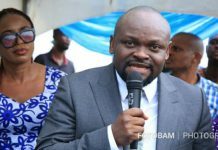 Any attempt to compel the Governor to vacate the office will foist a situation of fait accompli on the Court of Appeal who is now properly seized of the whole matter. 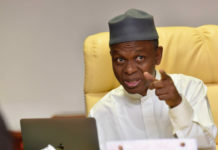 It was because of the imminent danger caused by the hurry in issuing the highly controversial order contrary to Order IV(1) 2 of the Judgment Enforcement Rules that the Attorney General of the Federation warned that all parties should await Court decisions. Those who still argue that Abuja Federal High Court’s refusal to hear Ikpeazu’s application for Stay of Execution makes his continued stay in office unconstitutional lack vision and must return to the law library. Let me quickly refer them to the Supreme Court decision on Mohamed Vs. Olawunmi ( 1990 ) 2 NWLR ( Pt 133 ) 458. Let me briefly report that the Respondents in that matter filed an application for stay on the 8th May, 1991. The learned trial Judge on the 9th May, 1991 with full knowledge of the application made to the Court of Appeal dated 8th May, 1991, proceeded to pass sentence on the Respondents. It was not in dispute that the application of the Respondents leading to the appeal was filed on the 8th May, 1991. It was not equally in dispute that on 21st September, 1988, the learned trial Judge found the Respondents guilty of contempt of Court but suspended sentence for 14 days. The Supreme Court decided that being aware that the Motion dated 8th May, 1991, and unless the Learned Trial Judge wanted to pre-empt the Court of Appeal, one would expect that having waited almost 3 years to pass sentence, he would have waited a little longer to have the application of 8th May, 1991 disposed by the Court of Appeal more so that his attention was drawn to it before passing sentence. According to the Supreme Court, what the Trial Judge did on the 9th May, 1991 was to foist in the Court of Appeal a situation of a fait accompli thereby rendering it impossible for the Court to arrive at a decision one way or the other on the merits of the application before it or render any decision it might take on the application nugatory. The Courts have always frowned on such conduct. In view of the above decision of the Supreme Court of Nigeria, what then are we talking about? INEC denied service of Motion For Stay of Execution but there is an existing PROOF OF SERVICE of same in the Court’s records. This is the reason I earlier submitted that the Certificate of Return issued by INEC, when juxtaposed with the proof of service of the Motion For Stay of Execution and the pending appeal, is obviously hanging in the air and will so hang till the Court of Appeal decides. 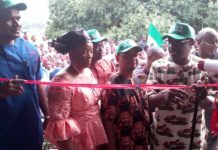 It also follows that having drawn the attention of all parties to the existing MOTION FOR STAY of execution of the judgment of the Federal High Court which is now before the Court of Appeal, no party or authority has a right in law to execute the Order of the Federal High Court seeking to vacate Ikpeazu from office. This is the true position of law. Any submission in the contrary must be properly checked and/or investigated to know the remote cause. 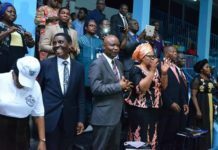 (2) The second reason is that Dr Uche Sampson Ogah is yet to be sworn in by way of taking oath of office. Certificate of Return without more does not confer the legal status of a GOVERNOR on a person. It is a Constitutional matter. 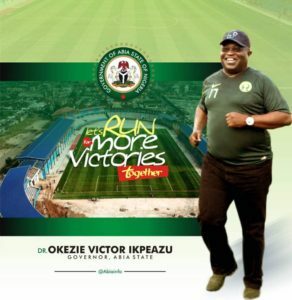 The day Dr Okezie Victor Ikpeazu collected his Certificate of Return from INEC was not the day he became the Governor of Abia State. The former Governor- Senator T.A ORJI was still in charge of the State till the day Ikpeazu took his oath of office pursuant to the provisions of the 1999 Constitution. As it stands at the moment, there is an ORDER from the State High Court restraining the Chief Judge of the State or any other Judicial officer from swearing Dr Uche Sampson Ogah into the office of the Governor of Abia State. And that Order is yet to be vacated by a Higher Court. Whether it was rightly or wrongly issued, it still stands valid. (3) The latest judgment of the Federal High Court Owerri wherein Ikpeazu was unequivocally pronounced as the Governor of Abia State obviously makes any opinion in the contrary irrelevant and generally unacceptable. I hereby respectfully plead with our fellow lawyers to desist from issuing statements capable of causing breach of peace and orderliness in Abia State. Let us be patient till the Court of Appeal or Supreme Court decides. 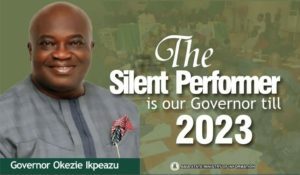 Ikpeazu has suffered much distractions and we hereby persuade everyone to desist from causing further distractions through any means whatsoever. Inasmuch as people have a right to express their opinions, such opinions must be based on truth and thorough legal research. I rest my case.